LAS VEGAS (CES 2018), January 8, 2018 – Today, Ricoh unveiled a compact, affordable Direct to Garment (DTG) printer that empowers users to quickly and easily produce high-quality applications on a variety of fabrics. 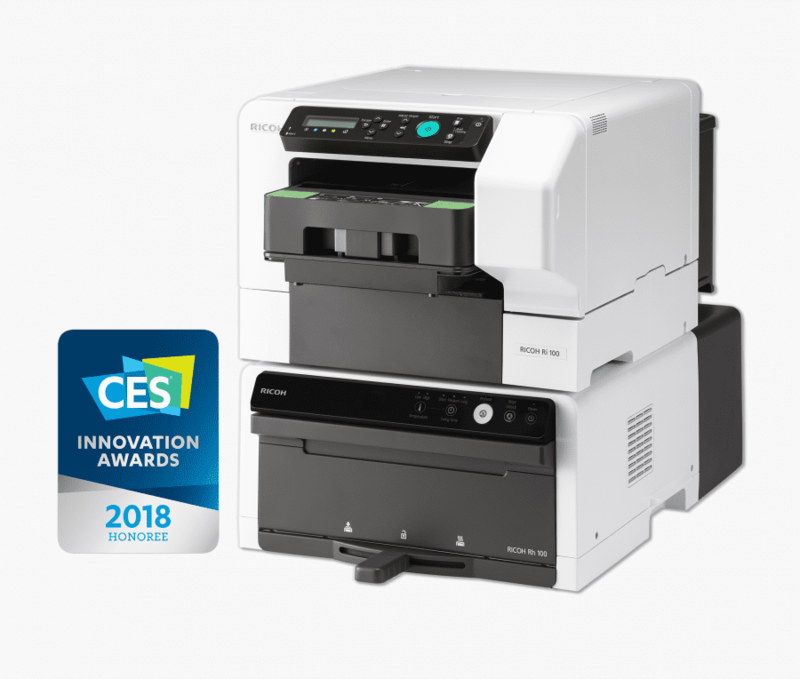 The RICOH Ri 100 fits easily on desks and counters, combining with its ease-of-use to make it a perfect fit for environments not traditionally dedicated to print, such as souvenir shops and small businesses. As many organizations and individuals seek ways to expand their portfolios or enhance brand loyalty, the RICOH Ri 100 is a cost-effective way to achieve these goals. MSRP for the RICOH Ri 100, heating unit, software and other accessories will be less than $5,000, significantly lower than that of traditional DTG printers. Further, Ricoh’s ink costs are among the lowest in the industry, helping to keep total cost of ownership low, as well. For further information, please visit www.anajet.com/ri100-request-info. For details on Ricoh’s full line of products, services and solutions for the production print market, please visit www.rpp.ricoh-usa.com and follow @RicohProPrint on Twitter, Ricoh USA Production Print on LinkedIn and Ricoh USA Production Print on Facebook.